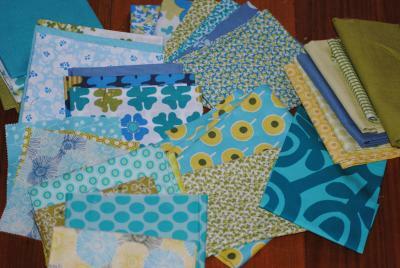 Anyone keen to make a Medallion Quilt??? I am and that’s why I’m joining in with Meredithe’s new project that she’s organised to celebrate her 100th post. You can read all about it and sign up over here but basically you choose a centre piece and then some coordinating fabrics and each month she will reveal what your next round should be based on but it’s up to each person to interpret that in their own creative way. Can’t wait to see what everyone comes up with! I’m using my Prints Charming Panel as the centre piece…..
And this gorgeous fat quarter pack that I bought in Houston last year……. 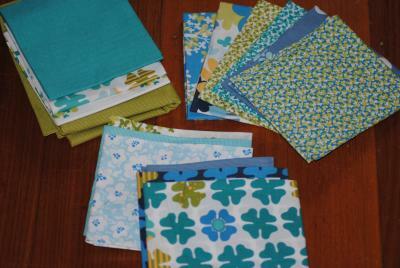 With some other fabrics thrown in. 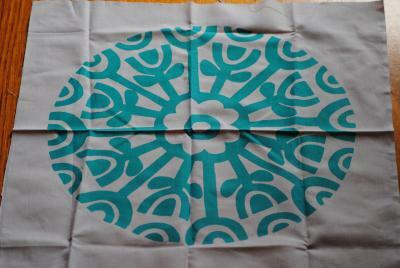 I want my Medallion Quilt to be fresh and modern and will be using a lot of white with the crisp greens and blues. Meredithe is using the same centre panel as me but has chosen different colours to coordinate with it. So, if you feel inspired please join in the fun.